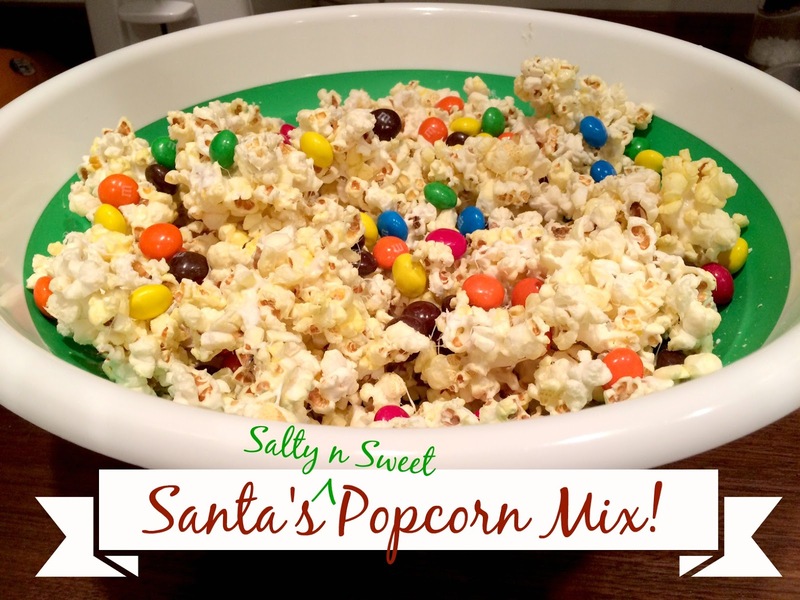 I know, I know, this doesn’t look like Santa’s popcorn mix because somehow I grabbed the normal M&M’s instead of Christmas colors, but trust me, this salty-sweet delight is totally Christmas appropriate! It is a pretty quick, and super delicious treat to whip up, especially if you have family coming or who’ve just dropped by for the holidays! 1. Pop your popcorn and while still warm, drizzle with your desired amount of butter. (I keep it light because you’ll be adding more with the marshmallow mixture). Sprinkle with a little salt. 3. Mix the marshmallow mixture with the popcorn and then drizzle with M&M’s for the final touch! !